Swap colors on the sprite until order has been restored! Click any two colors to swap them. 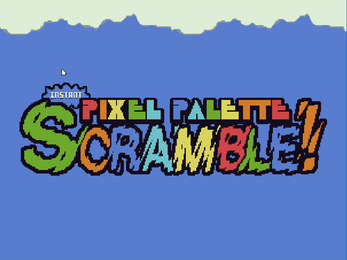 You can click on the image or the color swatches on the left side of the screen. Proper credit for cloud background art added. Sincere Apologies to Dan Ryder for missing this in v1.0! 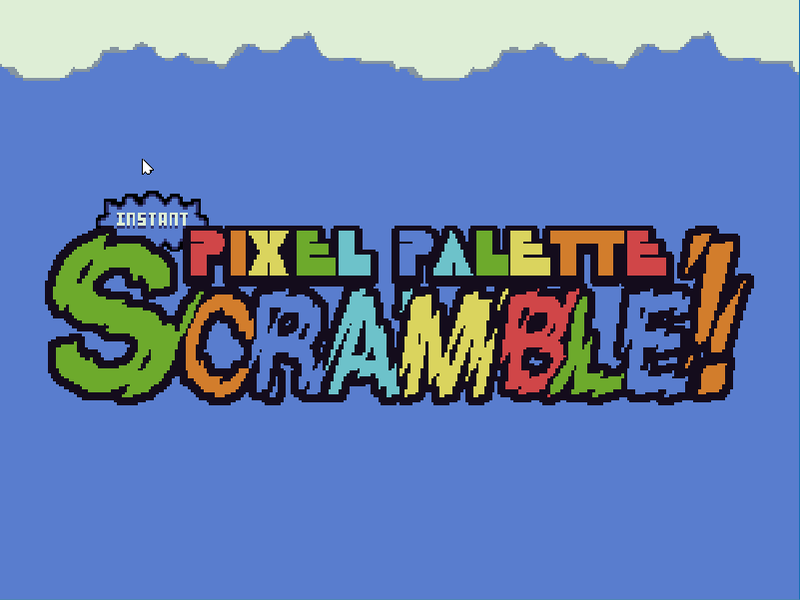 Instant Pixel Palette Scramble! is Copyright Scott Matott 2017. All rights reserved. This software uses the zlib and libpng libraries by Jean-Loup Gailly and Mark Adler. This software uses the SDL and SdlDotNet libraries under terms of the GNU LGPL license, see bin/Readme-SDL.txt and bin/LGPL-License.txt for details. This software uses the OpenTK library under terms of the OpenTK license, see bin/OpenTK-License.txt for details.